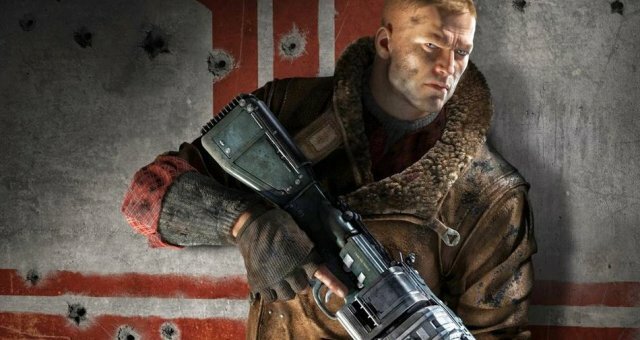 Guides for some of the most difficult battles in Wolfenstein II: The New Colossus for Mein Leben and I Am Death Incarnate. The two difficulty levels differ only in that Mein Leben has checkpoints and saves disabled. As soon as the level starts, turn right and hide between the beds and the armchair. Use silenced Pistole or Maschinenpistole and try to keep the enemies unaware of your location for as long as possible--ideally until the helicopter arrives. Once the scripted fight begins or if you get detected, switch to any dual-wield weapon of your choice--I used Sturmgewehr without any upgrades. Don't worry about the drones, they won't attack you in this spot. Enemies will throw grenades always in the same place and the blast wont reach you. Same for the explosive tanks. One heavy enemy will walk up the stairs at some point. Shoot the explosive tank across and shoot him as best as you can if he survives the blast. Regular enemies will also attack you so take them out as well. Your friends will take care of the rest. Things can always go wrong, but this is the most reliable method I have found so far. I have successfully passed this battle over ten times now whilst recording this video. It may not be the best method ever, but so far the best one I have found. I wanted a plan that would work from start to finish without using saves mid-battle, but you can reload if you play on I Am Death Incarnate. Once free, run left to hide behind the metal crates. Stock up on ammo whilst taking out the enemies around the judge. Two enemies will come a bit later on, throwing grenades, you can hide in the corner during the explosions, but you must take out those two enemies. After that run to your right (0:45), grab the armour and three health packs then move quickly to the centre behind cover and take out as many enemies as possible. Prioritise the ones with shotguns as soon as they drop down. They need at least TWO headshots to die. When you hear Engel talking, make sure there are no enemies in plain sight, grab some of the Sturmgewehr on the ground and run to where the judge is - there is armour and plenty of health packs around that area. Wait for the big guy on the right (facing the exit) to spawn and shoot the tanks on his back. Lure the other one and shoot him the best way you can - I recommend dual wield Sturmgewehr at this point. Mine were not upgraded but you should use armour-piercing rounds if you can. As soon as the doors open (2:55), run to your left from the judge's place and turn back towards the small room full of ammo, armour and health packs, then shoot everyone who comes near you - watch out for the dog and the robots. Try to lure enemies into coming to you rather than going to them. When you hear the loud noise of the three big guys spawning run across to the same kind of room on the other side of the second floor. Stock up on grenades, ammo, health and armour. Then be patient taking out the annoying overpowered armoured enemies. They are the last ones left so hopefully you have the whole area to run around if you need to escape. Don't take any chances. The first half of the method, where I destroy the heavies with dual-wield Schockhammer is not my original idea - credit goes to Kreeper V.
Rotor and Ricochet upgrades for the Schockhammer. Supercharge and Battery upgrade for the Laserkraftwerk. Armour piercing and Jungle magazine upgrades for the Sturmgewehr. First part of the battle is 6 heavies in 3 waves of 2. Use the dual-wield Schockhammer head on for the first two, then hide behind the covers and keep an eye out for regular enemies whilst the next two heavies spawn. Try not to go too much near the gate because this may trigger the bosses to spawn earlier. 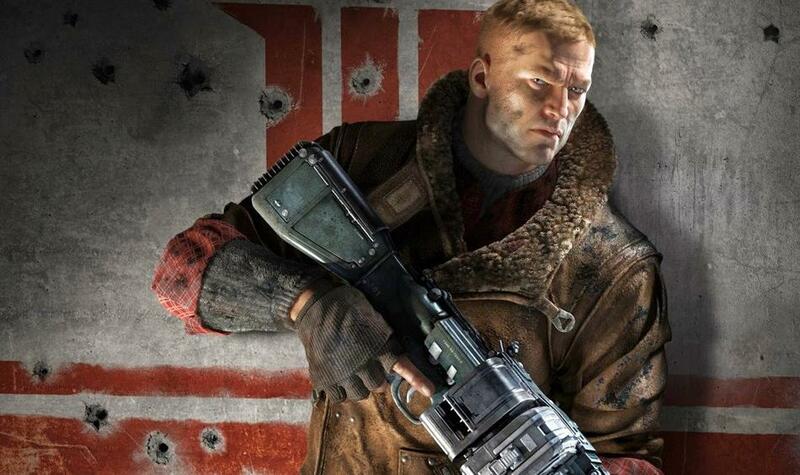 Once all heavies are down, run back, turn left and switch to the Sturmgewehr (dual-wield). Clear out the enemies around you. Shoot at the ground near the centre to lure the bosses to come from your left. If they come from your right, hide behind the wall on the stairs and keep shooting in the middle, they will circle around. Run to the corner where you see ammo and other supplies. Clear any regular enemies and switch to the Laserkraftwerk in one hand, then start charging the shot. You only need 2 fully charged hits per boss (50 ammo) and you have 4 in total (200 ammo) - so don't miss! Keep the Sturmgewehr in the other hand to clear any regular enemies if need be. The bosses won't attack you from your left if you are in that corner as long as you don't lean. In the very rare cases where they shoot, they will hit the platform above you.